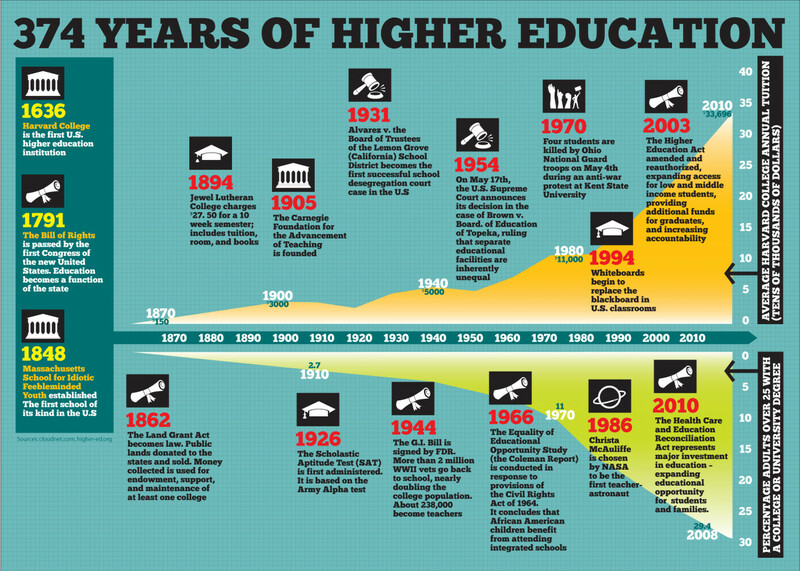 Higher education has been part of the United States for 374 years. In that time, a lot has changed. What once started as an institution for rich white males has now become an institution for all Americans despite the race, nationality, gender or economic situation. 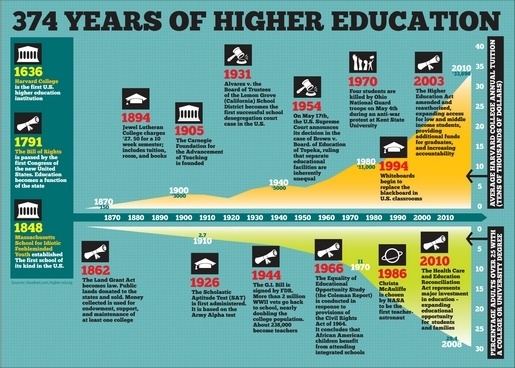 Here we will delve deeper into 374 years of higher education. 1636 – In 1636, Harvard College becomes the first U.S. higher education institution. 1791 – The Congress of the new United States passed The Bill of Rights. Education becomes a function of the state. 1848 – Massachusetts School for Idiotic Feebleminded Youth established. It was the first school of its kind in the U.S.
1862 –The Land Grant Act becomes a law. Public lands were donated to the states and sold. The money collected was used for endowment, support, and maintenance of at least one college. 1894- Jewel Lutheran College charges twenty seven fifty ($27.50) for a ten-week semester, which includes tuition, room and books! 1905 – The Carnegie Foundation for the Advancement of Teaching is founded.